118 pages | 13 B/W Illus. There is a widespread interest in wellbeing, the healthy body and public health. However, there are also many simplistic and uncritical interpretations of what wellbeing or a healthy body should ‘look like’. 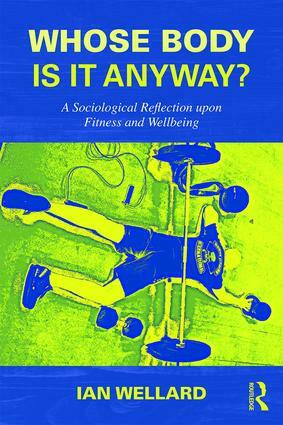 By focusing upon wellbeing through examples taken from fitness-related activities, which are often considered unproblematic routes to achieving wellbeing and greater public health, this book explores contemporary understandings of the body and the conflicting ways in which it is considered, in different contexts, times and spaces, either as the possession of the individual or that of society (or both). Whose Body Is It Anyway? adopts an embodied approach, employing sociological theory along with examples drawn from empirical research collected through participation (by the author) in an intense period of physical training. The intention is to explore the embodied experiences of ‘doing’ an intensive period of physical activity and, subsequently, attempt to understand, in more depth, the range of personal, social, psychological and physical factors that undoubtedly contribute to engaging in such an activity. The emerging story reveals much about the physical and emotional experience of a body being put through intensive exercise, not only in terms of contrasting forms of pleasure and pain, but also various socio-cultural ‘issues’ relating to relationships of power, trust and the role of ‘expert’ health advisor. Written in a clear and engaging style, the book provides an accessible introduction of more complex theoretical explanations which will appeal to academics and practitioners involved in broad aspects of sport, physical activity, health and wellbeing. 7. Identities and Power: I’m in Control? Ian Wellard is a sociologist of Sport and the Body. His main research interests relate to embodied practices, physical activity, gender and sport. Much of this research has been generated through ethnographic studies, which draw upon qualitative and reflexive approaches to the ways in which embodied identities are constructed and negotiated. His previous publications include Researching Embodied Sport (2015), Sport, Fun and Enjoyment (2013), Sport, Masculinities and the Body (2009) and Rethinking Gender and Youth Sport (2007), all published by Routledge.